Cab-aggregator Ola has introduced yet another new mode of transportation for its users — Ola Pedal. As the name suggests, Ola Pedal is a bicycle sharing service and will come in handy for short journeys allowing users to complete the final leg of their journey within the large college and office campuses. Ola Pedal will enable users to book bicycles that will be made available at various docking stations nearby large campuses across the cities in India. Once booked, riders can unlock their corresponding bicycles (as per the codes shared on the app) with their fingerprints. Having already launched at the IIT Kanpur campus on a pilot basis, where 600 Ola bicycles were made available at various docking stations surround the 1000-acre campus, Ola aims to launch similar services at other large campuses be it business parks, institutions or other public areas. Climate change and global warming are biggest threats to humanity, concludes the UN Intergovernmental Panel on Climate Change (IPCC) in its fifth assessment report. At a time when Sri Lankan team playing their test cricket match in Delhi has criticised and complained about the Delhi pollution, giving a thought whether the team should continue or withdraw from the ongoing match, Ola appears to have girded up its loins to infuse more eco-friendly rides in its kitty. After Masayoshi Son had stated his vision to replace the existing cabs with electric or hybrid vehicles, the cab aggregator had partnered with Indian Oil to launch electric vehicle charging facility at Indian Oil retail outlets. While electric vehicle charging stations have been in existence in Bengaluru for the past four years, it was for the first time that electric vehicle charging platforms were installed at fuel stations, falling in line with the Government of India’s Fame-India scheme. Ola has placed Ola Pedal as a lean and green solution to the traffic congestion and pollution and has also announced that these bicycles will be fully made in India, encashing the benefits of PM Modi’s Make In India policy. While the other cab aggregator Uber India clearly lags in terms of localising the services, Ola is not the first and only platform for bicycle-sharing rides in India. Established in December 2014, bicycle-sharing startup Cykul is currently operating over 2K bicycles in three cities Hyderabad, Gurugram and Jaipur. Cykul has introduced a host of features including monthly pass and smart card-based services. The startup also organises various events to promote cycling across the country. Another bike aggregator Trin Trin startup has been providing the bicycle-sharing services at 52 docking stations in Mysuru. 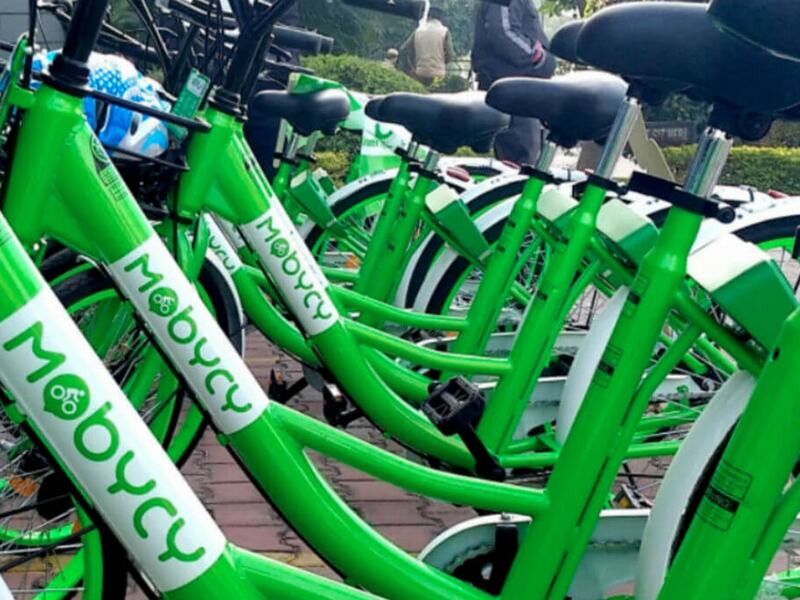 The bicycle-sharing platform has reportedly received some success in their attempt, however, has complained of people stealing the bicycles and not returning the same at docking stations. With Ola Pedal integrated with user’s Aadhaar, this may not be an option for thieves.